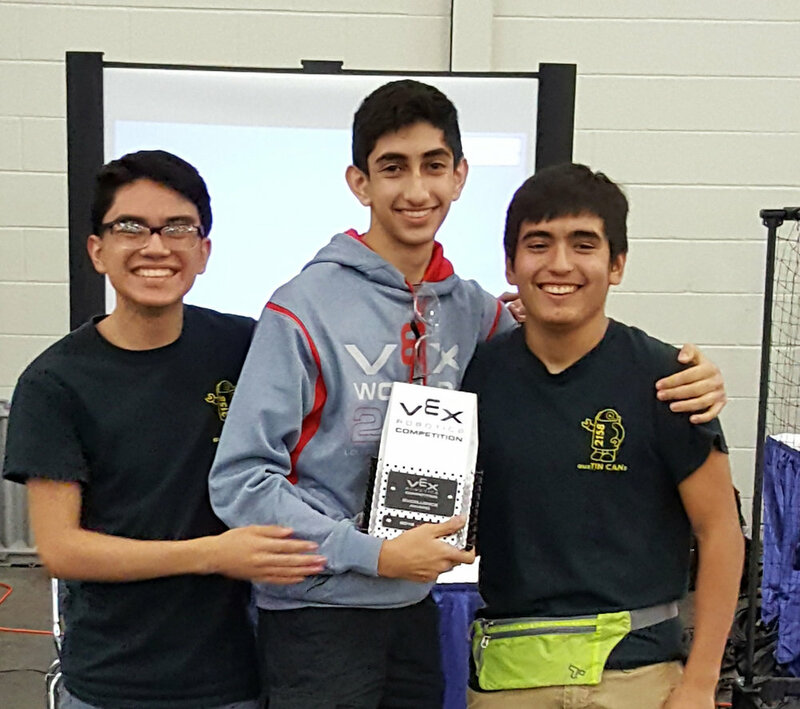 First VEX tournament of the season in the books! 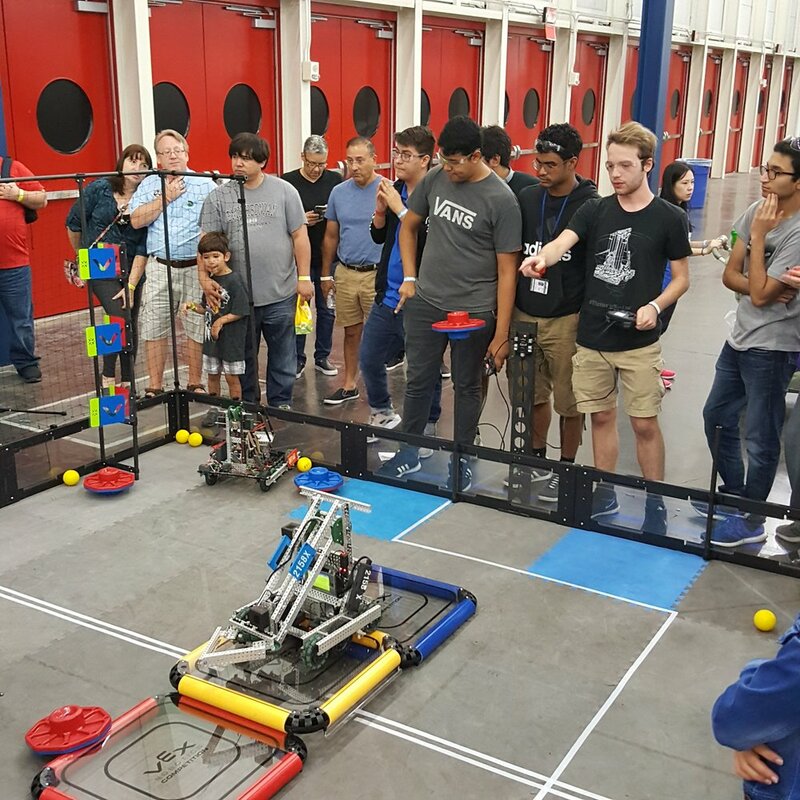 3 teams traveled to the Houston Maker Faire for a fun 2 day tournament October 13-14, 2018. 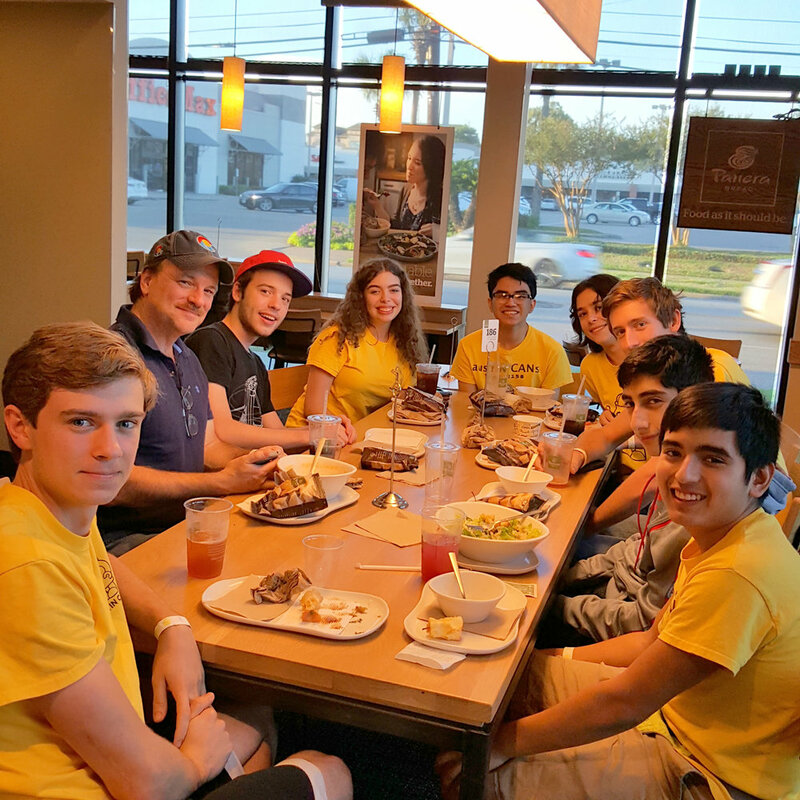 Congrats to 2158R (qualified for State by winning the Excellence Award; they also took home the Robot Skills Award), 2158K (Undefeated Tournament Champion), and 2158X (Alliance 2 Captain). All 3 teams did well in Skills (#1, #2, and #3 for the tournament!) and came home with a few new ideas for finessing their designs. Many thanks to our Mentors for making the trip. Those convention center hallways can be very long when you are carrying toolboxes! REC rep Luis was so enthusiastic about seeing those new V5 motors in action! Legos and Drones and LEDs, oh my! Houston Maker Faire was an exciting venue. 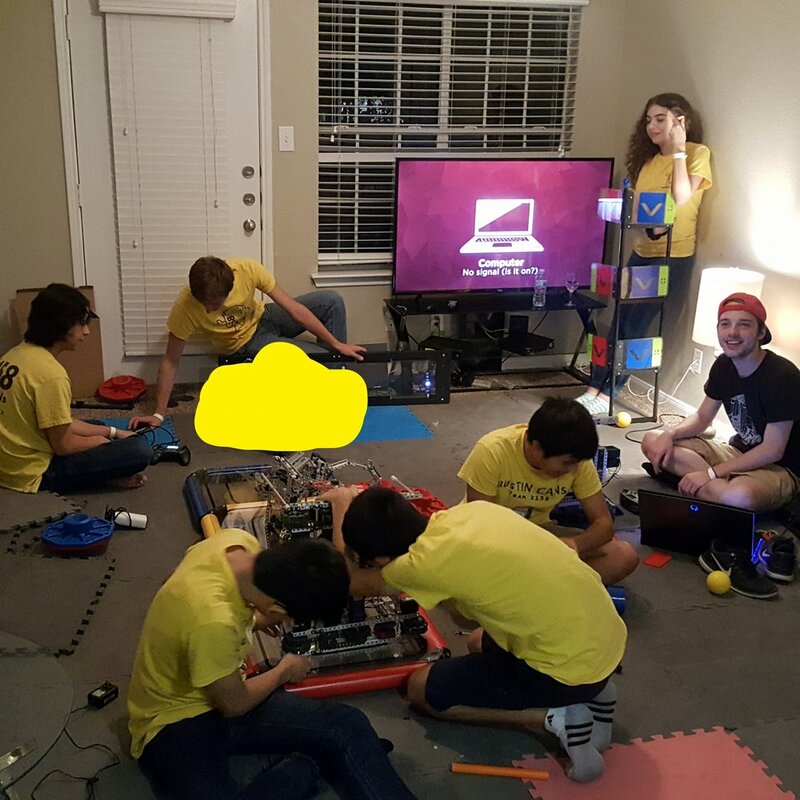 What do you do on the night between tournament days? Fine tuning and new programming, of course! This award was the only one of the tournament that qualified for State tournament in February. Great job, CANs!